Pump it Up just got a bit more fun. add a magical bubble shower to your party. Add Bubbles to your Balloon Drop or Glow party for only $12 extra! 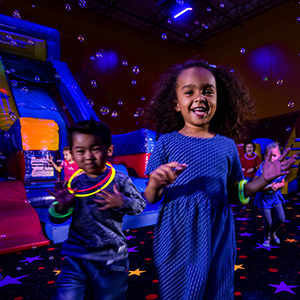 This experience includes glow lighting, glow necklaces, the use of 15 Glow Ball Guns that are a blast for a 15 kid party. 25 Glow Ball guns for a 25 kid party. The kids and the parents are easy targets and the soft pong balls glow in the dark as they soar through the air..
Add Bubbles to your Glow party for only $12 extra! The Boppin' Balloon Bash Drop™ can be added to any PARTY and the cost is added to your base party price. 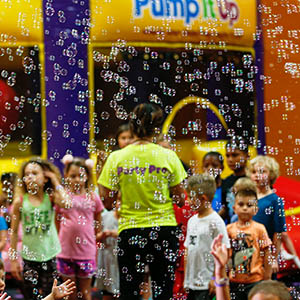 Have a Boppin' Balloon Bash Drop with hundreds of balloons and your friends to create a party experience you won't soon forget. Everyone will have so much fun, you will all feel like you're floating on air! 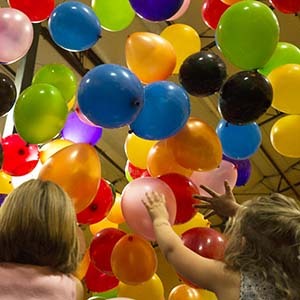 So imagine more than a hundred balloons dropping on your child and all their party guests. Kids can only imagine what this experience will entail. Add to your party for only $25! Add Bubbles to your Balloon Drop for only $12 extra! Bring home one of our goodie bags to keep the party going! 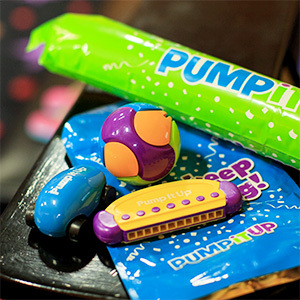 Includes: Thunderstick, harmonica, pull back racer, puzzle ball and a free Open Jump pass! 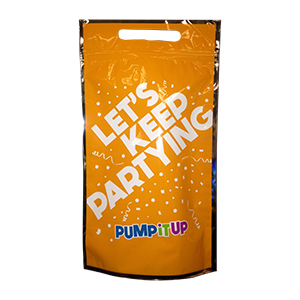 This bag includes a Pump It Up Water bottle with variety of fun toys and novelties to enjoy! Contact our store for more details.